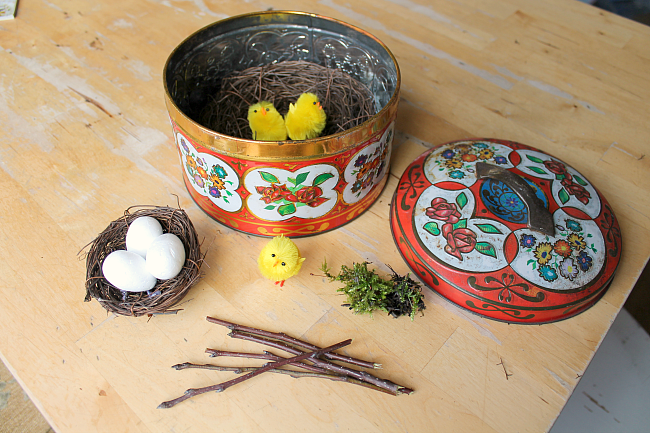 Use this delightful storytelling tin to invite your children to create a bird small world with lots of language and imaginative play. 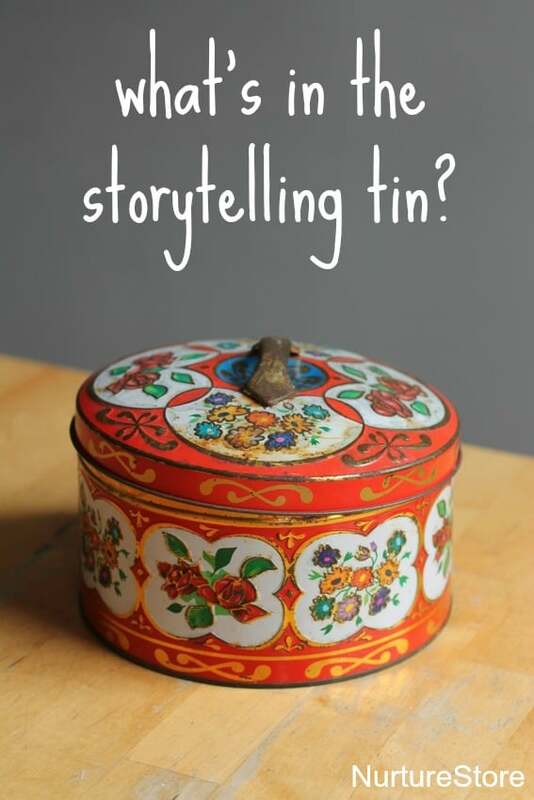 A Storytelling Tin is wonderful to use with young children, as a conversation starter, as an invitation to play, and as a prompt for telling your own stories. I use this lovely vintage biscuit tin as our storytelling tin. What’s inside today? There’s a story waiting within, ready to be told. Open the lid and see who’s come to play! 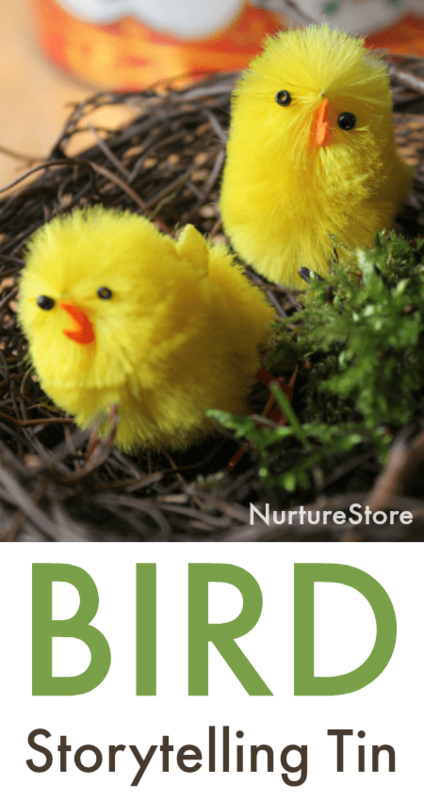 See my full resource of bird and egg lesson plans here. Inside you can gather together any assortment of loose parts and toys that you like, to match any theme. 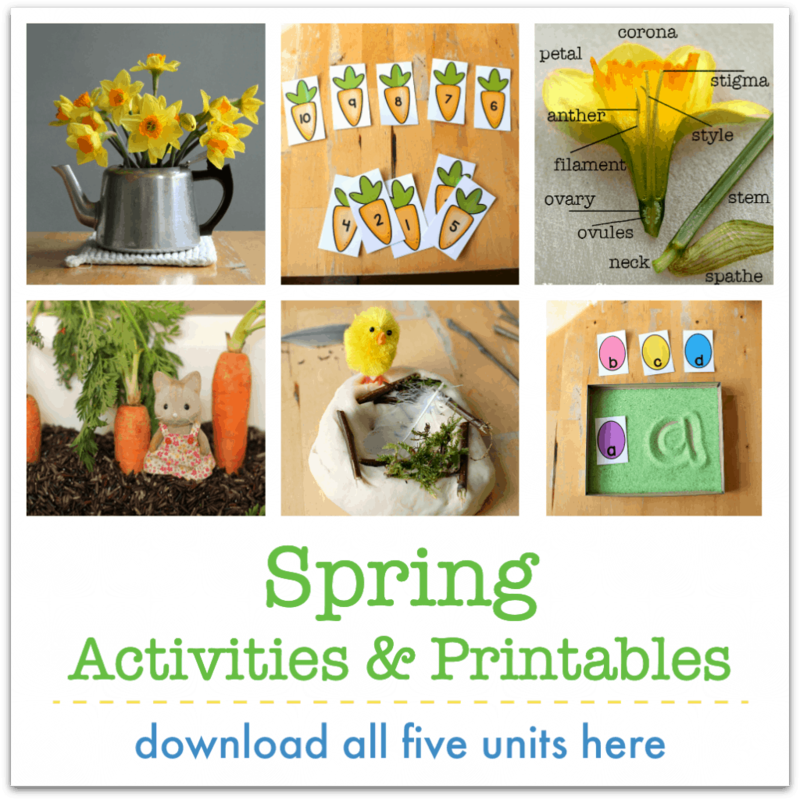 Open up the lid and invite your children to tell a story with the contents. Take a look at each item in turn and chat about them. What are they? What do they look like? How do the feel? My daughter likes to play this on a big roll of paper or on a white board laid on the table, so she can also draw a map or landscape for the story. 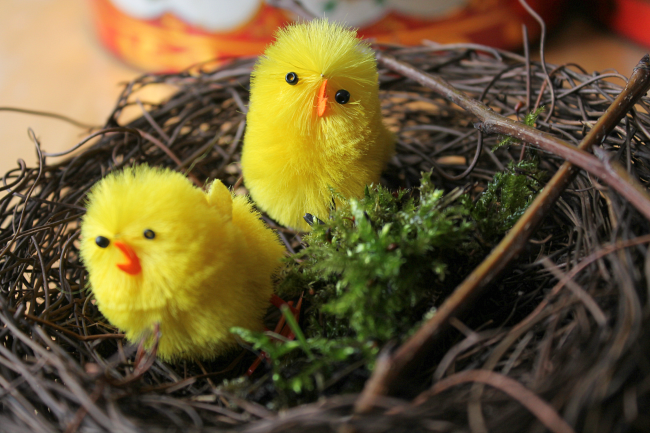 You can tell stories from your imagination, or act out realistic bird behaviour you have seen on your nature walks. You can use the tin again and again, swapping the contents every so often to spark new stories. Extension idea: You might like to film your children playing, so they can watch back the story they have created.